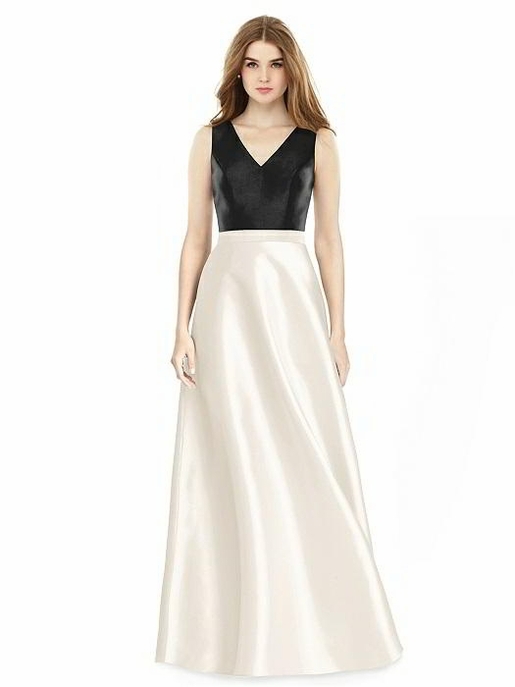 Alfred Sung style D754 - Full length sleeveless v-neck sateen twill dress w/ v-back. 1.5" belt at natural waist. Pockets at side seams of full A-line skirt. Available in any color combination sateen twill bodice and skirt or as solid. Belt always matches skirt. Available in any color combination sateen twill bodice and skirt or as solid. DELIVERY TIMES ARE ESTIMATES AND CAN VARY!